Pallavi is an energy and climate researcher working with the Low-Carbon Pathways Team at The Council. Currently, she is working on modelling rooftop solar PV in the integrated assessment modelling framework of the Global Change Assessment Model (GCAM). Her research interests include renewable energy and climate policy, low-carbon pathways, smart cities, and sustainable development goals. Prior to joining CEEW, she was a research staff at the Asian Institute of Technology (AIT) and has worked on numerous projects. Her primary research project Globalization of the Low-Carbon Technologies’ explored the cost of emission mitigation to meet the INDC targets for the ASEAN + 2 countries. Pallavi holds a postgraduate degree in Energy from the Asian Institute of Technology (AIT), Bangkok, and an undergraduate degree from Sri Aurobindo International Centre of Education (SAICE) in Puducherry. It is our lack of faith that creates our limitations. 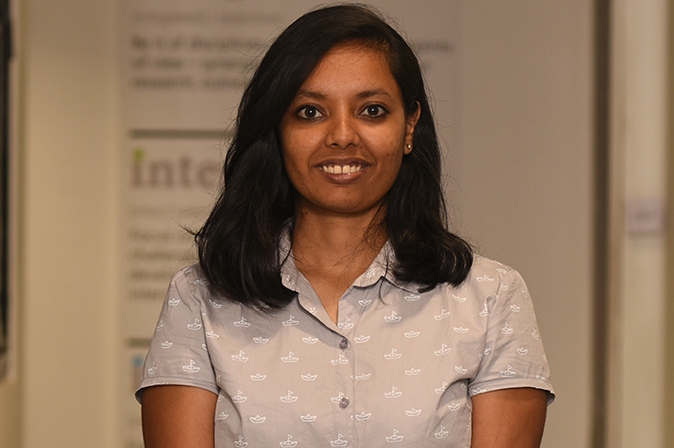 Pallavi brings quiet strength to the Low Carbon Pathways modelling team. With her solid understanding of the larger climate debate, she is well poised to multiply the impact of the analytical work done by CEEW.